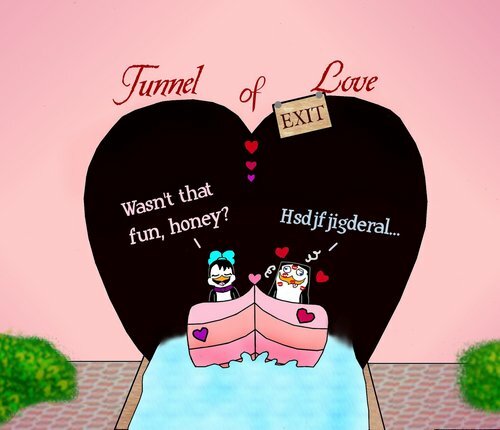 Tunnel of amor. Yeah I made the request finally. I'm not too happy right now, so this is all the decription I'm giving. >_<. HD Wallpaper and background images in the Os Pinguins de Madagascar club tagged: penguins of madagascar penguin skipper lilly tunnel love. This Os Pinguins de Madagascar fan art might contain boné, cap, casquet, and casquetel.